Acquisition History: The 74-acre Hosmer WMA was donated to the Department in 1962. Description: Located just west of Willard Pond, this property is entirely landlocked by other conservation lands and is located along the northern slopes of Bald Mountain. Common Wildlife: This property is part of a landscape that supports deer, moose, bear, coyote, grouse, and several species of migratory songbirds, among other wildlife. 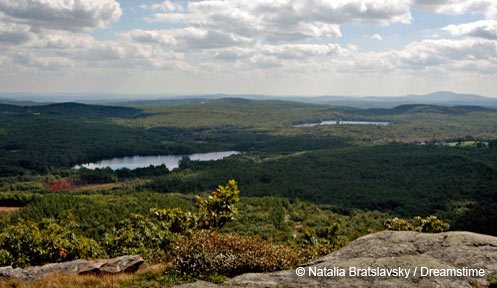 Directions: Perhaps the best access is via the hiking trails up Bald Mountain from NH Audubon’s parking area on Willard Pond Rd. From the top of Bald Mountain, map and compass skills will be required to find Hosmer WMA towards the northwest.